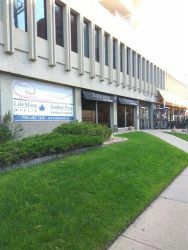 Lifemark Physiotherapy Academy Place is located one block south of Jasper Avenue on 116 Street in Academy Place at the top of Victoria Hill, which runs along the golf course. 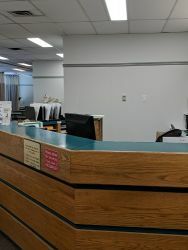 The clinic is on the second floor and is wheelchair accessible. The parking lot east of the building is $6 in change for one hour, or there are meters across 100th Avenue at Le Marchand Mansion. There is also free parking on 115th Street and 116th Street, please note there are time restrictions in these areas. 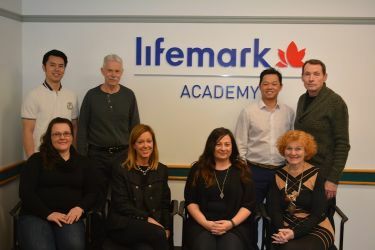 Lifemark Physiotherapy Academy Place is committed to exceptional patient care and physiotherapy services in Edmonton. Our staff have over 80 years of cumulative experience in physiotherapy. 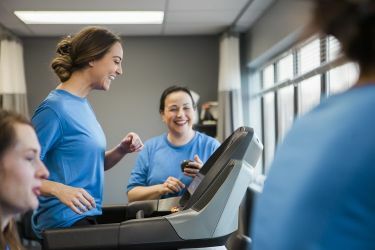 Our office specializes in orthopaedic and spinal dysfunction treatment, and has extensive experience with sports injury, rehabilitation, work-related injuries, motor vehicle accidents and every day aches and pains. 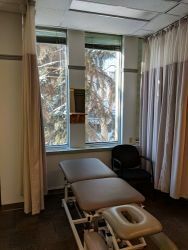 We also offer treatment options with intramuscular stimulation as well as massage therapy. We have funding available through Alberta Health Services and are an authorized WCB provider. 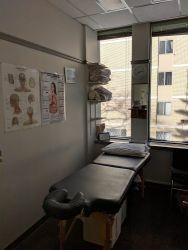 Our clinical staff includes four physiotherapists and one massage therapist. 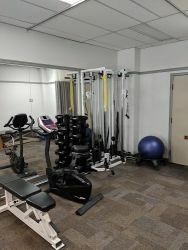 We are centrally located to provide physiotherapy in Edmonton, along with other rehabilitation specialties.